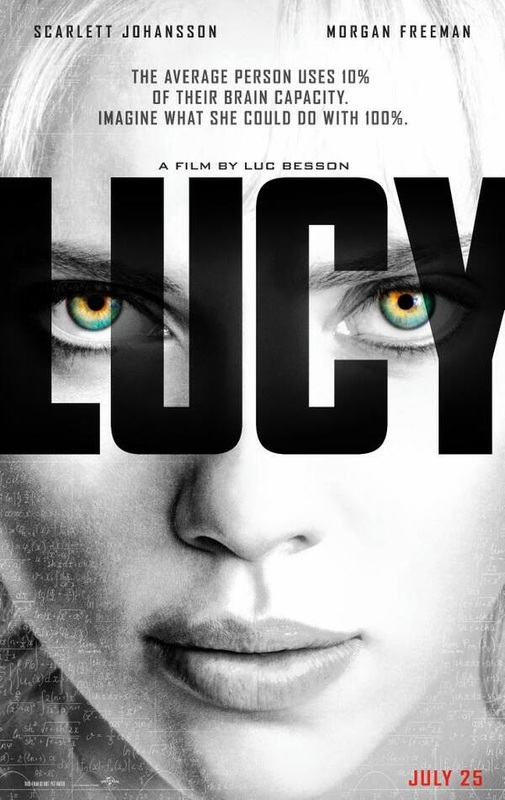 Lucy – She has the power. Luc Besson has written many great films for strong female characters: The Professional, La Femme Nikita, The Messenger, and Columbiana to name a few. So when I saw that one of my favourite directors was teaming up with the beautiful Scarlett Johansson I was truly looking forward to the movie. Lucy (Johansson) has been sleeping with some loser for the last week and he decides to strap a briefcase to Lucy’s arm. All Lucy has to do is take it to a man named Mr. Jang and she can then just leave. Her loser friend offers her a thousand dollars to do this but she is still not impressed that he forced her to do this. Her boyfriend waits outside as she returns the briefcase. As she waits at the front counter her boyfriend is shot dead in broad daylight and she is dragged upstairs to get to business. They open the briefcase and there are drugs in the case. Lucy is forced to “mule” the drugs into her home country. They cut open her stomach and sew the drugs into her body. During her recovery time she refuses the advances of one of her guards and he kicks her right in the stomach repeatedly, which of course releases the drugs into her system. These drugs allow Lucy to use a larger percentage of her brain. As the movie progresses her abilities get stronger and stronger. She gets the help of the leading expert on brain usage Professor Norman (Freeman). I had a difficult believing any part of this script and found the whole movie was falling apart at the seams. Nothing could hold this story together not even Morgan Freemans’ or Scarlett Johanssons’ acting. I thought this movie was like “Transcendence” on steroids because it had more action. Unfortunately, a bad movie on steroids is still a bad movie. Directors’ Previous Movies: The Professional, The Fifth Element, The Family, La Femme Nikita. If you liked this try: The Professional, Hanna, Limitless.